Qatar Airways has announced its latest Premium Companion offer, designed to enable passengers to experience how much more rewarding travel can be when experienced with family and friends. Qatar Airways’ customers can enjoy exclusive discounts during this special promotion when booking fares for two or more passengers travelling together. The promotion is valid on Qatar Airways flights in Business Class booked from February 11-18, 2019 for travel until December 11, 2019. Passengers who book during the promotion period can take advantage of a 20% discount on fares and will also receive double Qmiles and Qpoints for bookings made in Business and First Class. Qatar Airways Chief Commercial Officer, Ehab Amin, said “Travel is even more special when it is experienced in the company of family and friends, and what better way to celebrate this than by taking advantage of Qatar Airways’ Companion Offer. With this unique promotion, we want to encourage our passengers to experience the many special moments travelling together can provide. We are sure passengers will find many inspiring new places to discover along with family and friends on our rapidly-expanding global network of more than 160 destinations. Qatar Airways is delighted to invite all passengers to take advantage of this special companion offer, and look forward to welcoming everyone on board”. To take advantage of the companion offer, passengers can visit www.qatarairways.com or any Qatar Airways sales office, or contact their nearest travel agent. 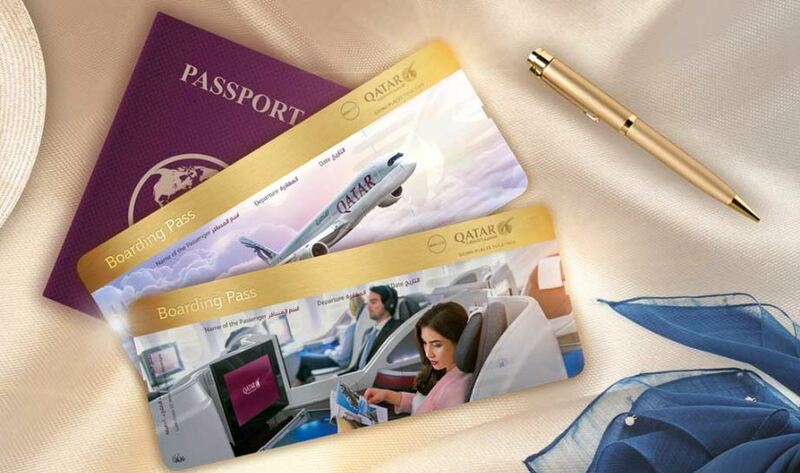 As one of the world’s fastest-growing airlines, Qatar Airways has a modern fleet of more than 230 aircraft flying to business and leisure destinations across six continents and was named ‘World’s Best Business Class, ‘Best Business Class Seat’, ‘Best Airline in the Middle East’ and ‘World’s Best First Class Airline Lounge’ in the 2018 World Airline Awards.